From an emotion regulation framework, generalized anxiety disorder (GAD) can be conceptualized as a syndrome involving heightened intensity of subjective emotional experience, poor understanding of emotion, negative reactivity to emotional experience, and the use of maladaptive emotion management strategies (including over-reliance on cognitive control strategies such as worry). The current study sought to replicate previous findings of emotion dysregulation among individuals with GAD and delineate which aspects of emotion dysregulation are specific to GAD or common to GAD and another mental disorder (social anxiety disorder). 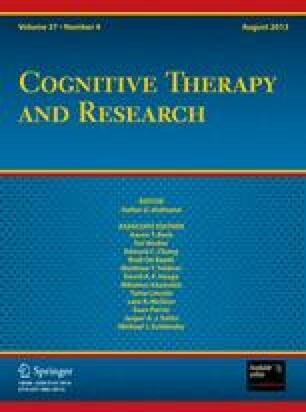 Individuals with GAD reported greater emotion intensity and fear of the experience of depression than persons with social anxiety disorder and nonanxious control participants. Individuals with social anxiety disorder indicated being less expressive of positive emotions, paying less attention to their emotions, and having more difficulty describing their emotions than either persons with GAD or controls. Measures of emotion differentiated GAD, social anxiety disorder, and normal control groups with good accuracy in a discriminant function analysis. Findings are discussed in light of theoretical and treatment implications for both disorders.